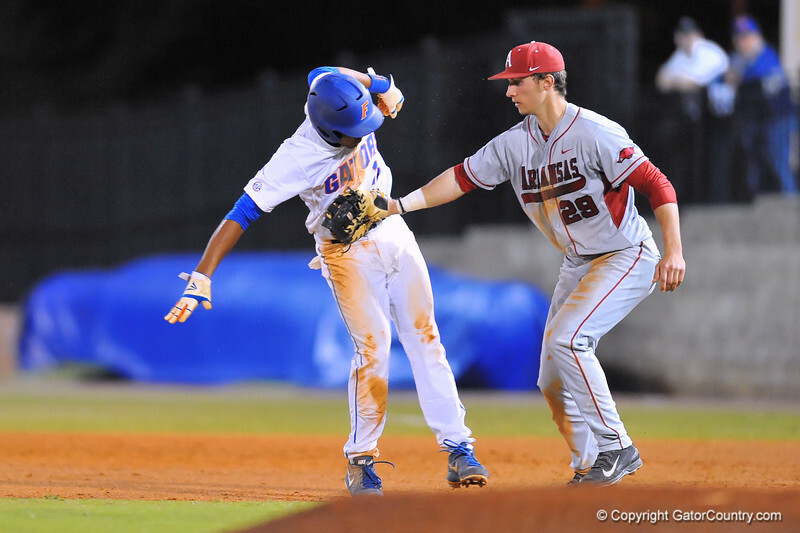 Florida SS Richie Martin is caught in a run down and tagged out. Florida Gators vs Arkansas Razorbanks. March 14th, 2014. Gator Country photo by David Bowie.